Violation of the ceasefire came after a lull of over a week in firing by Pakistani troops at Indian posts. 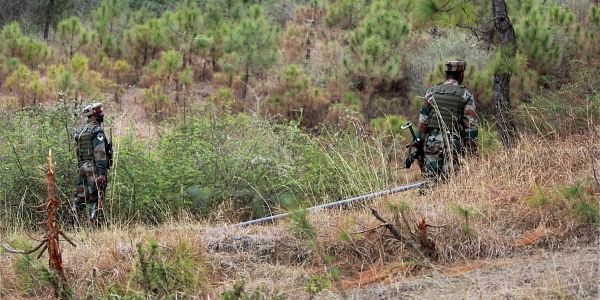 JAMMU: Pakistani troops opened fire at Indian posts along the Line of Control (LoC) in Jammu and Kashmir's Rajouri district tonight in violation of the ceasefire, police said. "Pakistani troops resorted to firing in Jhangar forward area from 1845 hours to 1900 hours," a senior police officer said, adding that further details were awaited. Today's violation of the ceasefire came after a lull of over a week in firing by Pakistani troops at Indian posts. Pakistani troops violated the ceasefire for three consecutive days between November 15 and November 17 in Jammu and Poonch districts. An Army jawan was injured in the exchange of fire in Poonch. On November 2, a BSF jawan was killed when Pakistan Rangers attacked a patrol party along the International Border in Samba district. A girl was injured when Pakistani troops opened fire from small arms along the LoC in Karmara belt of Poonch district on October 31. On October 18, eight civilians, including a two-year-old child, were injured in heavy Pakistani shelling in Poonch.